Martha Montoya-Trujillo, is a lifelong resident of Pojoaque, NM and is the current Secretary of Acequia del Rincon. Martha is wife to Alex Trujillo, Mayordomo of the Acequia del Rincon since 1995. She is also board member of the New Mexico Acequia Association, Los Amigos de Los Luceros, and a Member of Northern New Mexicans Protecting Land Water and Rights. The name “Acequia del Rincon”, noun rincón: (ángulo) corner inside; (inside) is true to its name. The diversion point is within the corner of the Nambe and Pojoaque Pueblo exterior boundaries dating back to 1739, in the Nambe, Pojoaque, Tesuque Basin (NPT Basin). Much of our history is documented in the odd shaped red on white journals, yes, the journals that everyone knew were not to be touched but treasured and preserved under the care of the Commissioners of the Acequia (ditch). In the possession of the commissioners is a recorded entry dated Abril 21 de 1900 documenting Reglas de la Acequia Del Rincon En Pojoaque, New Mexico. The history of our ancestors told with each handwritten entry, in script font penning the gastos (spending), the treasurers report, the reglas (rules), the derechos of the acequia and the lay of the land. Not only do we have the history of rules and water rights, but what a gift to see our ancestry of primos (relatives) passing down the roles and tradition to their children and their children’s children. Over hundreds of years the legacy, dedication, and responsibility has not missed a beat! Past Commissioners and Mayordomos memories of yesteryears speak affectionately of their fathers as commissioners and mayordomos and the work that needed to be done out of necessity , all the while comparing those hardships to the luxuries of today. Rudy Roybal, a former Treasurer for 23 years recalls his father, Meliton Roybal, having to pull dirt from the acequia madre to stop the water and divert it into the lateral, year after year. With the luxury of a modern day compuerta (headgate) makes Rudy’s life much easier. You hear Rudy’s voice soften as he remembers his father and smiles. Many of our farmers are between 60 and 80 years of age. The old traditions are hard for them to break because of their ingrained duty to work and love of land but the hardship of keeping the land thriving has proven to be an evergrowing challenge. For some producers the challenge is age, equipment to work the land, funds needed to plant crops and risk of loss due to lack of water and usage. The challenges ahead will prove to be a testament to us and the next generation, as we are all called to be good stewards of what has been entrusted to us. A tradition, years ago, families with derechos would report for a day or two for the “limpia” (cleaning) of the acequia. In late April in preparation for the irrigation season, fathers and sons took a tarea (task, work) per derecho. Around lunch time, the peones (workers) would be close to our house, and mom would make a traditional meal of corn fritters with red chile, tortillas and beans. The back ground music was usually the sound of files sharpening shovels and off to work, but still back home around 5pm with plenty of energy for an evening with a cold drink and a night out. Today, our limpia is not celebrated. The cross road is cost and effectiveness, so it is now contracted. Water is released by March 1st, pushing through parts of the acequia that is cement, dirt or pipe. Each transition presenting a different challenge, but the water manages to make its way, enduring hundreds of years, never changing, and always ready for its yearly tarea coming out of a dry winter in a desert land. As Commissioners we have encouraged parciantes to use the land, be more creative in the delivery of water by using more efficient systems such as underground piping and drip irrigation systems. In 2017 we completed the reconstruction of a fifty plus year old Presa (dam or weir) in collaboration with the Pueblo of Pojoaque who are also parciantes of the Rincon. How did we manage in the past? Pure NEED to survive, there was no romance in the back breaking work of digging a presa, cleaning the acequia after a flood, rebuilding a dam in the middle of the river, using rama ( tree branches) and rocks to divert the water. But, that did not stop production of provision for families. I know my dad planted out of necessity, with 12 mouths to feed. 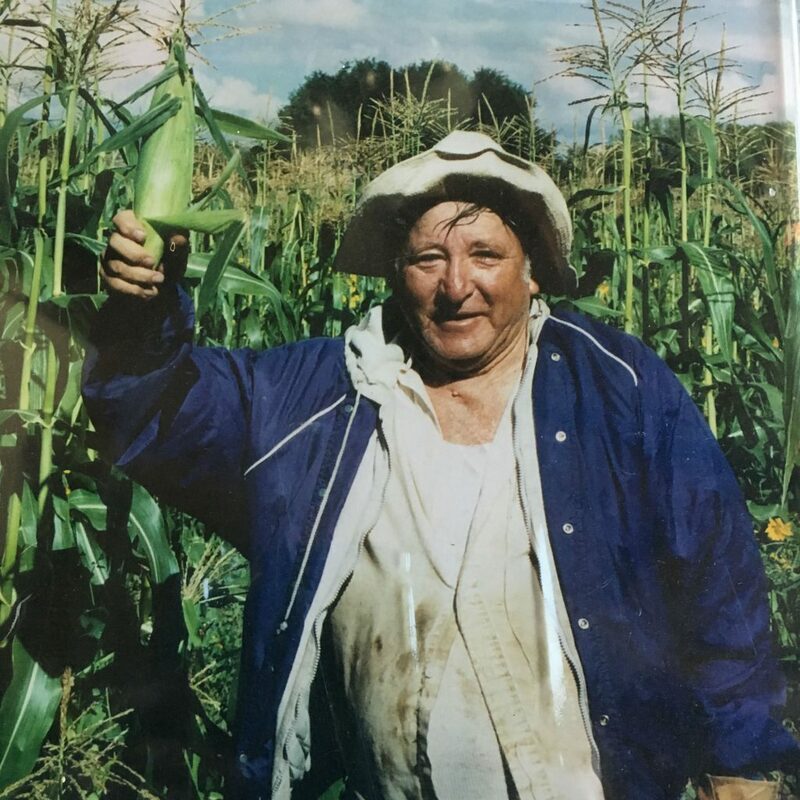 He planted fields of sweet corn (sometimes blue), beans and squash while managing to keep the pigs and goats contained (well at least most of the time). Now, this same land is divided into smaller parcels planted mostly with memories, our inspiration for the future! There is an enduring divinity that lingers in the Taos Valley, an entity that flows against the weight of the ages, the demands of the people, and the disputes over its existence. The water of the Taos Valley is one of the most resilient water sheds in the Western Hemisphere, quenching the thirst of some of the most arid lands of the Southwest. One cannot deny that the water and land of this region is sacred, beginning with Blue Lake, the mother to Taos Pueblo and her people that have defended this sacrament to the highest human capacity. The sacred lake comes from the Sangre de Cristo Mountains and gives life to the Rio Pueblo de Taos and Rio Lucero water shed, feeding some of the most ancient Acequias in the Valley and helping the Hispano community grow their medicine, food, and cultural traditions. Taos Pueblo were the first people in the valley to use the water, so when non-Indian people began to settle it was shared, but as the population grew, so did the disputes over the water. The ancient synergies of the Native and Hispano people have brought about an explosion of tension and engagement when trying to accommodate one another and newcomers into the community. However, the fusion of these communities have contributed to the unique farming and living models; the continuance of the largest inhabited pueblo of the Southwest, economical Earth Ships and Adobe houses, but also drip irrigation and other modern technologies like solar that making life unique and possible in the valley. We are one of the only communities in the Southwest that has set precedent in water sharing but now is burdened with some of the biggest decisions and negotiations of how to live sustainably in the future. 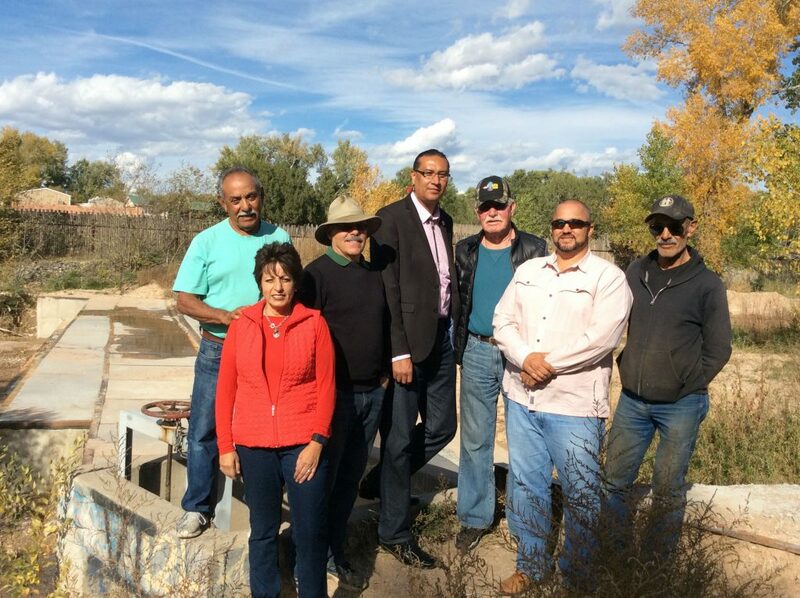 The Abeyta Water Rights Adjudication has been a 46-year struggle among Taos Pueblo, the State of New Mexico, the Taos Valley Acequia Association and its 55 member Acequias, the Town of Taos, El Prado Water and Sanitation District (EPWSD), and the 12 Taos Area Mutual Domestic Water Consumers Associations (MDWCAs). In the early 1970's when the United States was determining the water rights of reservations and pueblos, Taos Pueblo had already gone to extreme lengths to reclaim land and water, so when it came to exercising their full water usage, their aboriginal priority date and historically irrigated acreage right shook the whole valley because of the large quantity of water rights claimed. 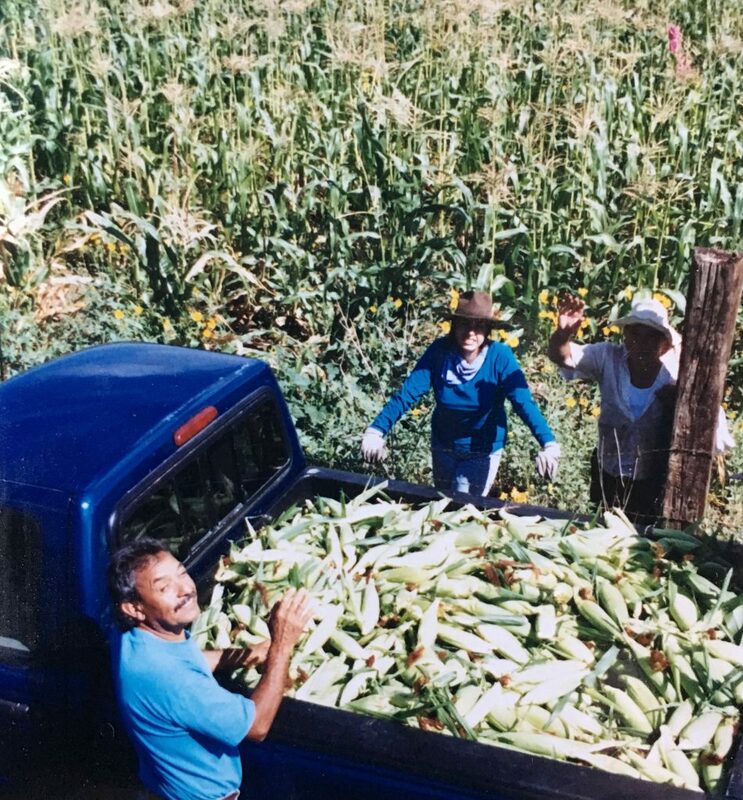 When learning about this water demand, the Acequias in 1986 formed the Taos Valley Acequia Association (TVAA). TVAA President Palemon Martinez, Eduardo Lavadie, a parciante on the oldest documented acequia in Taos Valley and attorney Fred Waltz, sent a letter to Taos Pueblo proposing a negotiation. TVAA members understood that negotiating with the Pueblo would possibly prevent costly and lengthy litigation and could result in a more equitable sharing of water for the future. TVAA would take a critical stance for Acequias through the adjudication process and represent about 7,600 parciantes who irrigate about 12,000 acres. By organizing an association, TVAA then applied for funding from the NM Acequia and Community Ditch Fund to help pay for lawyers, historians, archeologists and a hydrologist to defend the Acequias priority dates and conserve their established water rights alongside the Pueblo. Overall, the adjudication gained other parties and became a long negotiation about how to share water between the five parties in the Taos Valley now and in the future. Sadly, after 15 years of discussions, there were still no significant agreements. Then the Bureau of Reclamation in 2003 proposed that the parties engage a mediator. After three years of this intensive level of effort, the Draft Settlement Agreement was executed by the negotiating parties in May 2006 and approved by the State of NM. In December of 2010 President Obama signed the settlement and the US Department of the Interior and Congress approved 80 million dollars that would combine with State funds for infrastructure projects that would benefit the various parties involved. From the Acequias' perspective, some of the provisions of the Settlement work in their favor while others might be opposed if the case went to trial. It is important to emphasize that all the parties in this case worked long hours in hundreds of meetings to come to terms. As in any negotiated settlement the parties all had to weigh the risks of an adverse decision if they went to trial, as well as the costs of litigation. The parties engaged in much give and take in order to reach a middle ground that they could live with. The U.S. District Court recently has heard and reviewed objections to the Settlement and ruled against the objections, which means that it is likely that the Settlement will receive final approval in the near future. Here are some of the benefits and controversies the Acequias are facing before the enforcement date in March 2017, which is when the period of administration of the Settlement begins. A major piece of the Settlement requires that increases in pumping of groundwater for certain municipal uses, which can normally have negative effects on nearby stream flows that Acequias depend on, be made from much deeper layers of groundwater so that the local streams are much less affected. 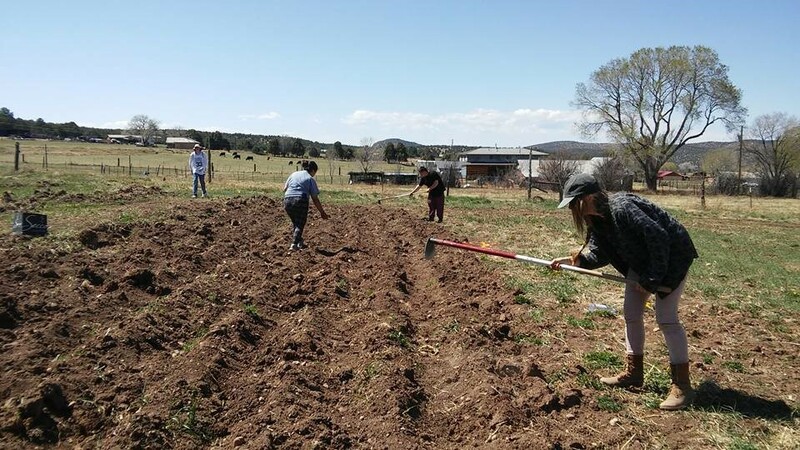 This also reduces the need to buy and remove Taos-area Acequia water rights from active irrigation in order to offset the effects of groundwater pumping. Another provision of interest to the Acequias, is the plan for a system of mitigation wells to offset those depletions that do occur from future groundwater diversions. Using these wells would be a substitute for buying and removing Acequia water rights from active irrigation. These wells are to be drilled along the banks of the Rio Grande del Rancho, Rio Chiquito, Rio Fernando and Rio Hondo, as well as in town. These mitigation wells will be the instrument of balance in the valley, supplying stream flow and shallow groundwater in the future to offset the effects of pumping by the Town of Taos and the EPWSD. The Office of the State Engineer (OSE) will annually calculate how much depletion is occurring in the Valley and using the hydrologic model will accordingly supplement each stream with pumped water. It is perceived that these wells will balance the interests of supporting continued acequia irrigation and allowing for an extensive municipal water use. The OSE will oversee the management of the mitigation well system with the goal of keeping the water system of the Valley whole. The intent is to keep historically irrigated lands productive as much as possible. Under the Settlement, Taos Pueblo is entitled to divert a combined total amount of water not to exceed that amount sufficient to irrigate 5,712.78 acres. However, not to cause abrupt harm to non-Indian irrigators the Pueblo will forbear from the immediate full exercise of its historically irrigated acreage (HIA) right. Instead the Pueblo will initially use an amount of water that corresponds to 2,322.45 acers, and will gradually increase the amount. Finally, the Settlement protects surface acequia water rights as established and adjudicated. Under the Settlement, the 5 parties have agreed to waive any challenge to the validity of a water right that has already been agreed to by the State Engineer. In addition, the parties agreed to not protest the terms of the Settlement itself. 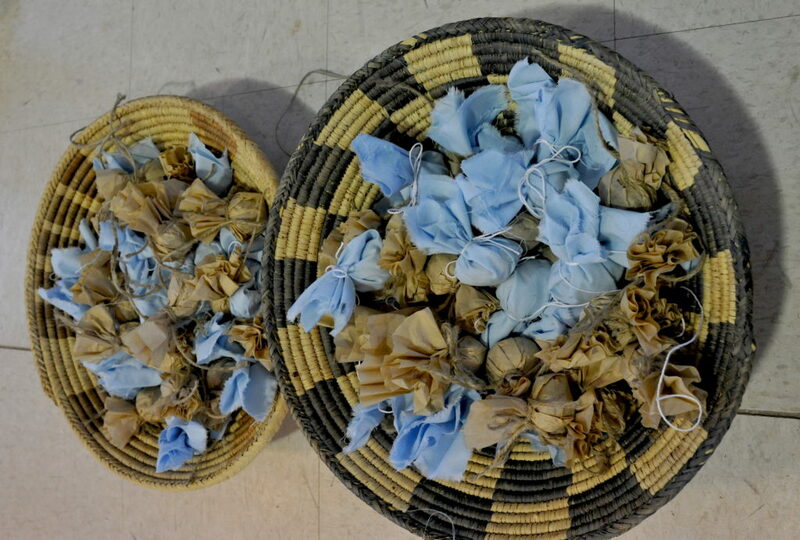 Taos Pueblo has agreed to forebear making priority calls on surface water rights in the Valley that are exercised in the location where they were adjudicated and to honor all current acequia water rights. At the same time the Acequia parties agreed not to protest certain transfers by the Pueblo and by other parties of acequia water rights to supply water for projects by those parties. During the inter se phase of the adjudication before the enforcement date in 2017, one acequia may challenge the water rights of another acequia or one parciante may challenge the rights of another parciante, but an acequia may not file an objection in court to any non-acequia water right already agreed to by the State Engineer. It is agreed that any challenge to a domestic and livestock wells is waived. These, in brief, are some of the major provisions of the Settlement affecting Acequias. However, these are many other provisions of the Settlement that have not been discussed here. You can find the Settlement agreement in its entirety at the links listed below. There are many speculations, concerns, and critiques on how exactly the Settlement administration is going to manifest into wet water a sustainable future for Taoseños. Could the science of the Abeyta settlement truly overcome the devastating realities of the drought and demand of the future? 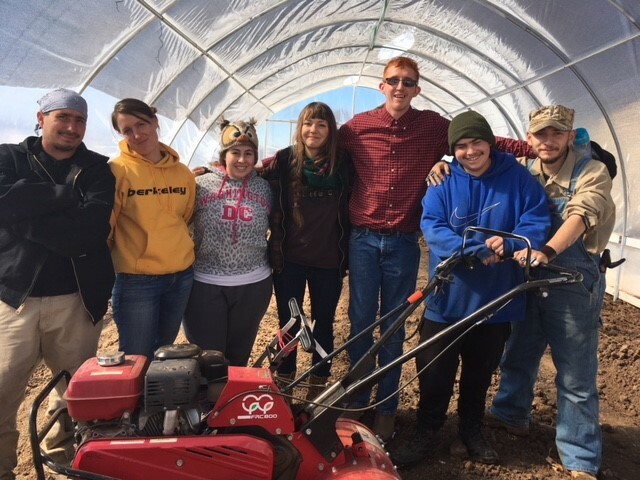 Can the Acequias and TVAA build new leaders who are willing to collaborate with Taos Pueblo, mutual domestics, and neighbors in order to preserve this symbiotic and historically land-based lifestyle? When there are disagreements about the hydrologic model, mitigation well system, or the methodology of measuring the surface water depletion the parties have agreed to convene for the purpose of adjusting the hydrologic model and the mutual benefit projects as needed. The parties in the Taos/Abeyta Settlement have created a basis for collaborating on issues related to sharing the vital resource of water for ongoing life in Taos Valley. We know that drought divides people, a fact serving to remind us that solving the conundrum of water, growth, and hardened demand is work best done in the present, before the curve of rising need and the downshifting line of limits slam together. The New Mexico Acequia Association has partnered with researchers from NMSU and UNM on an interdisciplinary acequia study funded by the National Science Foundation (NSF), under their Dynamics of Coupled Human and Natural Systems program which promotes the interdisciplinary analyses of the interaction and relationships between human and natural systems. A couple of years ago while the proposal was being developed, Dr. Sam Fernald, Interim Director of the Water Resources Research Institute (WRRI) and Associate Professor in the Animal and Range Sciences Department at NMSU, asked me if NMAA would be interested in partnering with him and other researchers on this study. I knew Sam from my days as a graduate student at NMSU where I researched land use change impacts on acequias; I collaborated with him on the research and he served as a member on my thesis committee. He'd known that I landed a position with NMAA and invited us to collaborate on this study. Both myself and NMAA executive director, Paula Garcia, were interested in the research and decided it was appropriate to join forces. 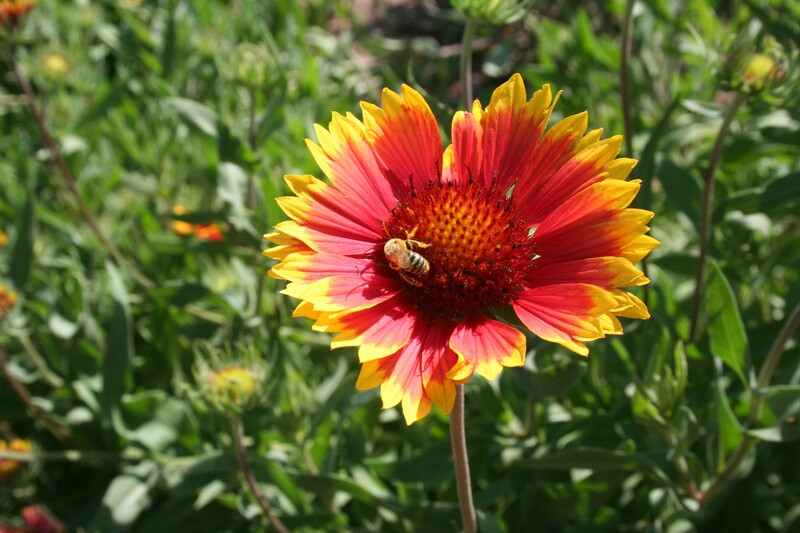 The research is being conducted in 3 sites – Alcalde, El Rito, and the Rio Hondo region near Taos. This study is incredibly valuable to acequias. It aims to understand the resiliency of acequias in the face of so many challenges, particularly regarding climate changes that could significantly affect the water supply. 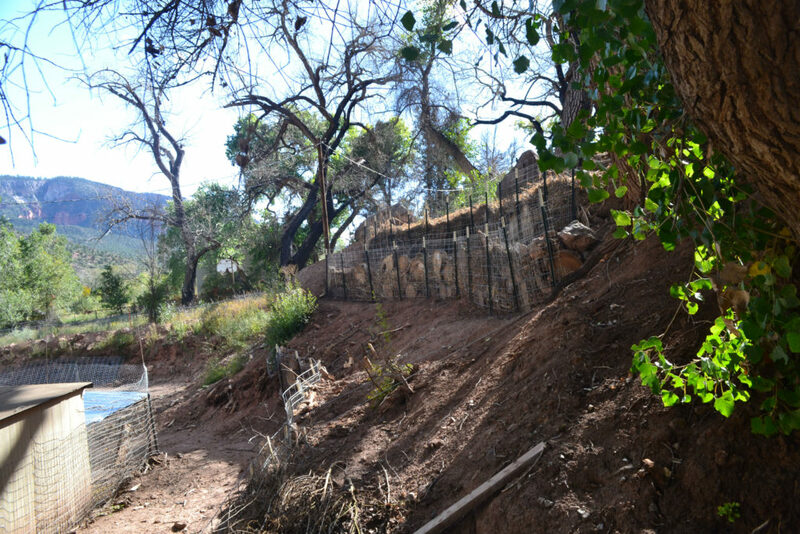 This study is concerned with combining the natural and human components of the acequia system that foster the sustainable practices embodied by acequias (for example, the way in which acequias maintain an equitable distribution of water to parciantes in times of drought or otherwise) in order to better understand their resiliency as sustainable resource management regimes; and to identify strategies for acequias to adapt to so they can thrive for many years to come. This is taking a holistic view of acequias that incorporates the relationships concerning hydrology, ecology, economics, and socio-cultural components. 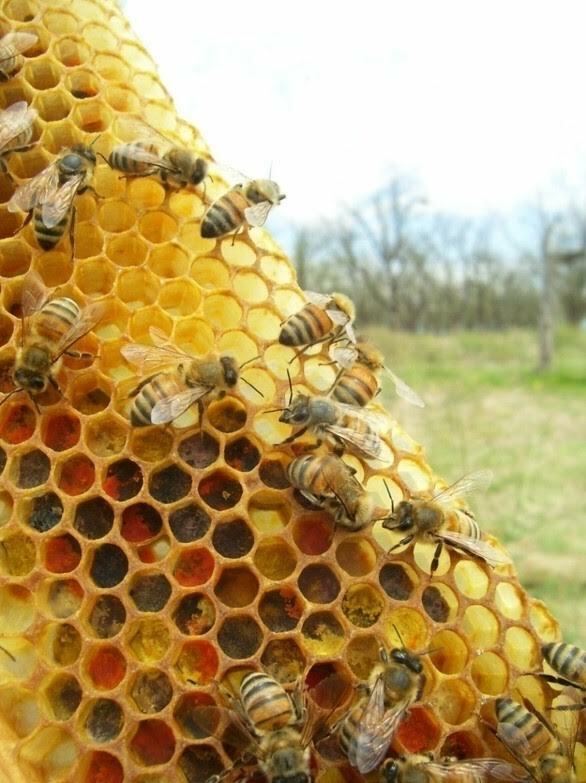 These interconnected components aren’t a new discovery by any means – acequias have been aware of these intrinsic connections all along, but this study will provide quantified results that back up this long standing knowledge of the sustainability that acequias represent. In the realm of policy-making, unfortunately a layperson’s knowledge of such characteristics is not likely to hold up; but objective and quantified research results will have a lot of weight, and we expect that these results will be to the benefit of acequias.